Chanteuse Country US née Rebecca Carlene Smith, le 26 Septembre 1955 à Nashville (Tennessee). 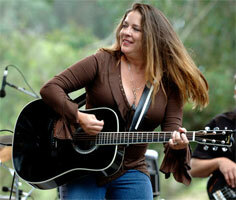 Carlene Carter est la fille de June Carter et de Carl Smith et la demi soeur de Rosanne Cash. 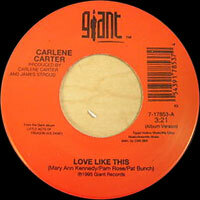 Carlene Carter has always straddled the line between country and rock. Beginning her career as a rock singer in the mid-'70s, she became immersed in the new wave in the late '70s, before emerging as a new country singer in the late '80s, Throughout it all, her music has always infused roots music — whether country or rock & roll — with a nervy, edgy energy. In 1978, she decided to pursue a musical career, heading to Los Angeles where she received a record contract with Warner Bros. 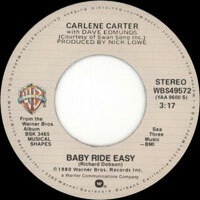 Her debut album, Carlene Carter, was a rock & roll record recorded in London with Graham Parker's backing band, the Rumour. The following year, she released her second album, Two Sides to Every Woman, which featured support from the Doobie Brothers. That same year she married singer/songwriter/producer Nick Lowe, who was currently the co-leader of the new wave rock & roll revival band, Rockpile. Lowe helped Carter shape her musical direction in the early '80s, and her third album — the new wave-inflected country-rock record Musical Shapes (1980) — showed the influence of Lowe, Rockpile, and Dave Edmunds. Although the album was critically acclaimed, it was a commercial failure. She followed Musical Shapes in 1981 with Blue Nun, which continued to pursue a new wave-country direction; like its predecessor, it was ignored. In 1989, she began working on a comeback record with Howie Epstein, the bassist for Tom Petty & the Heartbreakers. 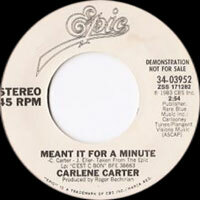 That same year, she performed a duo with Southern Pacific on the Top 40 hit "Time's Up." 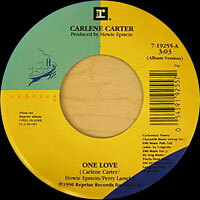 Reprise signed Carter in 1990 and she released her overdue fifth album, I Fell in Love, later that year. I Fell in Love still had rock influences, but it was a more straightforward country record than her previous albums, and country radio paid attention. 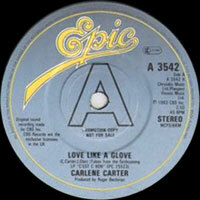 The album became a hit and two singles, "I Fell in Love" and "Come on Back," climbed all the way to number three. 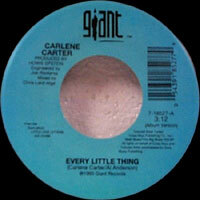 Little Love Letters, her 1993 follow-up (which was released on Giant Records), was equally successful; its first single, "Every Little Thing," was another number three hit. Little Acts of Treason, her 1995 album, wasn't as big a hit as its two predecessors, but it still enjoyed moderate success on the country charts. A hits collection, Hindsight 20/20, appeared in the fall of 1996. A variety of personal and professional problems hit Carter at this point, and aside from a concert album, Live in London at the Marque Club, in 2005, no new studio material appeared from her until the reaffirming comback album Stronger in 2008. 1998 SP GIANT 7-17144 (US) Never Together But Close Sometimes / ?